Employers today are making efforts to build more positive onboarding memories. And, they are doing so for good reason. With unemployment low and competition for the top talent tight, employers need good first impressions that give way to lasting employment relationships. Moreover, today’s lean staffing practices have left employers pressed to fill openings and bring new hires to full competence with increasing speed. They do not have time for overloaded or ill-equipped hires. In this blog post, I am sharing a number of resources—from tried-and-true onboarding practices to more innovative approaches for acclimating new hires. Like what you see? Click on the accompanying links to head to APQC’s Knowledge Base where you can learn more. Think about onboarding during recruiting. Begin formal onboarding upon offer acceptance. Make onboarding “easy” for new hires. Give the new hire some control in the onboarding process. Help new hires join organizational communities. Make new hire training “easy” for hiring managers. Measure the effectiveness of new hire onboarding. Collect feedback from multiple stakeholders of the onboarding process. Hold stakeholders accountable for onboarding success. 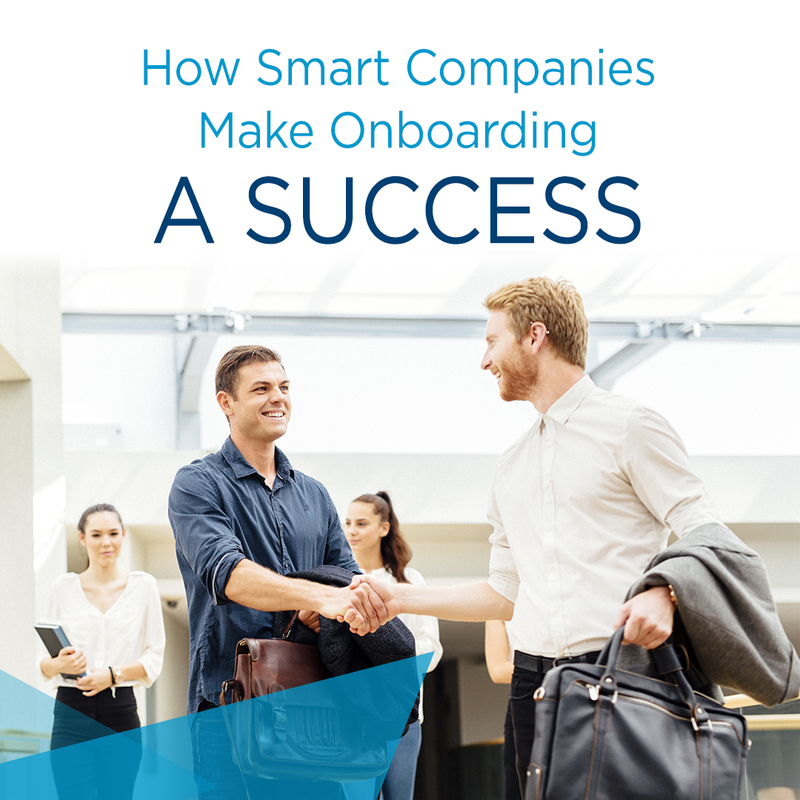 Learn More: Success Factors for Onboarding, Training, and Developing New Hires. Apply Design-Thinking to Improve the Onboarding Process--Genpact applied design thinking principles to onboarding in an effort to reduce early attrition (new hires who leave within 30 days) and to get new hires up to speed faster. Interviews with new hires, among other methods, revealed several areas for process improvement. Improvements have reduced initial, tactical onboarding time from eight to less than one hour and documentation from 39 to four forms. Surveys of new hires show that their experience has improved. Learn More: Applying Design Thinking: Genpact Case Study. Push Relevant Knowledge to New Hires at the Moment of Greatest Need--MITRE uses a combination of personas, business rules, and cognitive technology to predict what knowledge new hires need and when, where, and how that knowledge should be delivered. It built an anticipatory knowledge delivery system that proactively provides new employees with relevant information at different points in the new hire lifecycle. Learn More: Digitally Assisting Knowledge Work at MITRE. Use Knowledge Mapping to Guide New Hires--Tire manufacturing company Goodyear uses knowledge mapping to capture expert knowledge and turn it into learning resources for its less-experienced employees. As part of this process, it creates learning journals that help leaders determine the sequence of training and development opportunities that new hires and up-and-coming experts need. Learn More: Knowledge Mapping in Action: The Goodyear Tire & Rubber Company. Prevent Overwhelm by Pacing the Onboarding Process--New hires at APQC go through a "first day, first week, and first month" onboarding process. This process paces their exposure to new people and information with the intent of boosting knowledge retention and fostering lasting relationships. APQC’s onboarding process also has fun activities inserted throughout. Learn More: Making Onboarding Fun Again—It Won’t Cost You A Dime! (Podcast Summary). What are your onboarding memories? How is your organization approaching the onboarding experience? Comment to share your experiences. Or reach out via Twitter @ElissaTucker or LinkedIn www.linkedin.com/in/elissatucker.